The FCC will be voting on a proposal made by Chairman Tom Wheeler about limiting sales of spectrum in next year’s auction once a certain amount has already been won by any particular bidder. The idea is to limit the two gorillas in the room, Verizon and AT&T, from grabbing too much and not leaving enough for the “little guys,” T-Mobile, Sprint, and a host of regional and rural carriers. Some regulators fear that the smaller carriers would be far too outmatched in any bidding war. AT&T threatened to sit out of the auctions, though tempered that position a little later. The point stands however, since the current licensees, mainly television stations are voluntarily giving their spectrum up for the auction, may express concerns if they feel they will not get what they think their licenses are worth. 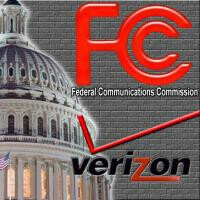 It is not known how things will go down with the commissioners’ vote, set to take place at their meeting on May 15th, but if the vote is made to impose such limits, the FCC will then have to draw up new rules as to how such limitations would be triggered. The rules on the auction are already being noted as highly complex, and it is because of those conditions that the auction was pushed to 2015. Among those conditions are a mandate from Congress that at least $7 billion be allocated from the auction of 600MHz spectrum to fund a national public safety network, FirstNet. That is a significant amount of overhead being imposed on the auction. The 2008 auctions of 700MHz spectrum, which was divided in to five blocks out of 62MHz of spectrum total, took in roughly $19 billion. The auctions to be held next year will have blocks totaling between 60 and 80MHz of spectrum. Since the 600MHz block is considered to be even better than the 700MHz block, current license holders may be expecting to see the auction clear a number well above $19 billion after funding FirstNet. Sprint has more spectrum than anyone. Granted most of it is not in the lower bands. Verizon and AT&T got the most out of 2008, but T-Mobile just nabbed a huge chunk of A-block from VZW (deal closed yesterday), plus T-Mo has several markets with low band it acquired from MetroPCS. With SoftBank and Deutsche Telekom in the background, and a very good performing stock in TMUS (T-Mobile), there is plenty of money in waiting to be spent on this auction. MetroPCS didn't have any lowband spectrum, it had PCS and AWS (Which lined up nicely with T-Mobiles portfolio). The 700 mhz they nabbed from VZW might be a significant amount of the A-block, but it is still only 6x6 fd-lte and only in a few (key) markets. Not to mention it interferes with Channel 51 in a lot of places and there are no cell phone manufacturers that will include it in their phones yet (which is why the rural and regional carriers haven't deployed it yet.) T-mobile also has one 850Mhz license in SC...One. Sprint has their nationwide 800 Mhz which they are deploying in 5x5 and 3x3 (in certain areas in the Southeast) But can't deploy it in the IBEZ zones yet. VZW and AT&T have had massive advantages with the sheer amount of 850 cellular licenses they have in the country...they have most of them. Then add in how much they got in the 700 MHz auctions and they practically monopolize the lowband spectrum. It's even more laughable for VZ to say that there shouldn't be limits because Sprint and T-mobile both have well financed corporate parents. It is well known that DT won't be putting billions towards the auction to help T-Mobile...and that is only assuming the haven't been able to wipe their hands of T-Mobile by the auction. And considering Softbank is tiny compared to either VZ or AT&T, leaving the whole Sprint financials alone, there is no way they could raise the type of money that VZ and AT&T could if the duopoly wanted to keep the others from getting the spectrum. This spectrum auction is what will even the playing field a lot and allow Sprint and T-Mobile to build true nationwide coverage without the higher costs associated with mid/highband spectrum. It is most certainly in the best interest of the American public for the FCC to place limitations one what the duopoly can buy at it. You don't even the playing field by tearing everything down to the lowest-common denominator. These rules would force the license owners to take an artifcially deflated value for their property. Softbank would have to pay $30B-plus for T-Mobile. Why don't they buy their own spectrum with that cash? T-Mobile has billions in cash, their stock is double what it was a year ago. They aren't helpless either. The whole thing is a sham, none of the top 5 or six carriers are hurting. T-mo just added 2m customers. Wahh!! Wahh! I hope VZW and AT&T take everyone to the cleaners. Where did I say I wanted Softbank to buy T-Mobile? I am wholly against that merger, it would be bad for the wireless landscape. Those airwaves that the Broadcasters use are property of the American public and were given to them because they provided an important service to the people. The same reason why it should be made so that Sprint, T-Mobile and Dish along with regional and rural carriers should be allowed to have a better chance at getting a large piece of the 600 MHz spectrum ,it better promotes competition and provides a better service to the American people that way. It evens the currently unfair playing field. Are you seriously suggest the few billion that T-Mobile has in the bank or the money that Softbank could leverage to buy another carrier (which the banks are willing to loan because of the 50 million subscribers that come along with the deal) are the same as the type of money that AT&T or VZW can bring to the table? They make more in profits in one quarter than T-mobile has from the break up that AT&T gave it. Sprint and T-Mobile lose money each quarter, and T-Mobile's CEO has readily admitted that they can't continue doing what they are doing...the only reason T-Mobile has done the uncarrier thing is to make it attractive to a buyer and drive up the price of their stock. They aren't doing it because it is sustainable. Wah Wah Wah! VZW and AT&T might have to play on an even playing field spectrum wise if these limits go through. Those poor porr behemoths racking in mounds of cash each quarter with EBITDA performance that every other carrier in the world looks at in envy. Yes, let me cry crocodile tears over the fact that they might now not have the advantage of building out fewer towers to cover the same space, thus lowering costs. Let me cry about how they have been allowed to destroy the mobile landscape in the US using the death by 1000 cuts approach, how in many places the government has allowed either VZW or AT&T to control both sides of the cellular block on their own. They don't need more lowband spectrum, they need more capacity in the highband....which there will be plenty of auctions to allow them to get, auctions where they won't have limits placed on them. This will probably be the last lowband spectrum auction for any type of foreseeable future and it is imperative that new entrants and the smaller carriers are able to secure the majority of it. That produces the best competition in the wireless space in the long run. Why are you so against fair competition? Do you hate capitalism? The government for decades has stacked the cards in VZW and AT&Ts favor, this is a measure to allow the government top swing the market forces back to equilibrium. To give the american people the best services at the cheapest prices. And considering we are the ones who technically own these airwaves, isn't that what we should want? It does nothing for the consumer to have 2 dominant carriers. ATT and VZW already have 700 mhz service. They don't need 600 mhz service. Funny how a company that has paid zero or close to zero taxes for the last 5 years is whining...ahhh, the greed of the corporation. I own stock in VZ, and T - I read their annual reports and believe me, they pay taxes. More than Google, more than Apple. You don't employ hundreds of thousands of people combined and not pay taxes. Take the shrill somewhere else. Okay, so ambiguous, non-specific media articles (none of which mention VZW or AT&T btw)? Payroll taxes are income taxes too. These companies are taxed in layers you wouldn't believe. AT&T and Verizon also own thousands of parcels of land for all the central offices they maintain (as phone companies), they pay easements for facilities that cross through private property (backhaul stuff, towers). Few of these issues, if any touch SPrint or T-mobile to any such depth. ...a bunch of whiny pansies..you think everything should be free? When you show up to work and reject your paycheck, that is how it will start. Who's taking the first step? No? But your utopia awaits...oh yeah, that's not congruent with your social justice schooling. Sh!t costs money folks. You think AT&T and VZW don't dump tons of money into maintaining their networks? How do you guys think businesses operate? 1.) I mentioned income tax specifically, I never made the claim that any of these companies didn't have to pay other types of taxes. Payroll taxes, btw, are withheld from an EMPLOYEE's wages...it wasn't the corporations money. There are some taxes that don't have loopholes for them to wiggle themselves out of paying. So don't change the goal post. 2.) And now you are going to make an attack on my personal character? Wow, very mature...clearly you have a strong argument if you resort to ad hominem attacks. Whatever. Who said anything about me wanting things to be free? I didn't realize that expecting corporations to pay their taxes and not create loopholes for them to get around doing so makes me want everything in life for free. It seems more like those corporations want as much as America has to offer them for free. 3.) I didn't mention AT&T....sooooo yeah 4.) But you are right, neither of the links mentioned VZW. That was my bad, I thought the times one explicitly stated them, but I clearly linked the wrong article. Here you go :http://www.motherjones.com/mojo/2012/04/top-tax-dodging-companies-politicians Man, look at the -3.8% effective tax rate, poor lil VZW. What are they to do, I bet they feel so unloved next to GE's -18.9% effective tax rate. They have to console themselves somehow. I assume like this:http://i.imgur.com/RsI9t.gif as they continue to add hidden fees to their customers bills and overcharge minutes and data. 5.) WTH does the cost of running a business to provide the services they sell have to do with them paying taxes? They choose to be in the Wireless business, where profit margins are crazy high but the cost of building out and maintaining a network are also large. If they feel it is no longer worth the cost to stay in that field of business they can choose to exit it. It literally has nothing to do with taxes. 6.) There were just so many fallacies in your argument, no facts to back up claims, and personal attacks that I don't even know why I bothered responding to you. BTW, I'm guessing you are a baby boomer, right? You seem like one. Any company that is publicly owned it obligated to do their best to maximize shareholder profits. That includes paying the legal minimum amount of taxes that is required. Every time Verizon opens its mouth I hate it even more.